George Hutchinson waves from the cockpit of Sirius NR118W Richmond Virginia at Burbank on 28 July 1930. George Hutchinson in the plane in which he hopes to beat Lindbergh's time to Paris. Burbank, Calif ... George R. Hutchinson in the cockpit of the Lockheed Sirius low-wing monoplane in which he will fly over the Lindbergh route from New York to Paris. He hopes to beat the Lone Eagle's time over the Atlantic. 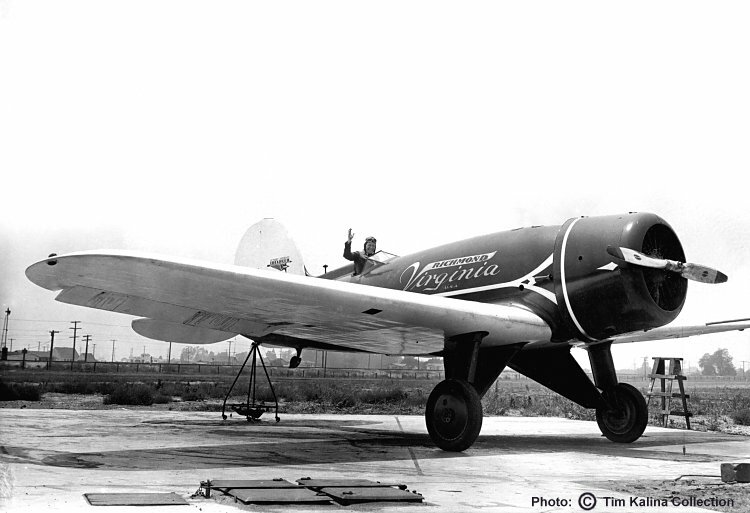 Hutchinson has named his plane the "Richmond, Virginia" after the town in which he lives with his family.